Configuring PHP is easy. You can change almost any aspect of the interpreter within the php.ini configuration file, e.g. modify error handling, increase memory usage, etc. Unfortunately, problems can occur when you move your application to a live hosting environment or are distributing the code to customers. ISPs usually lock down the php.ini configuration file — especially on shared hosting. This could cause your application to fail. Fortunately, it’s not necessary to upgrade to an expensive dedicated server. 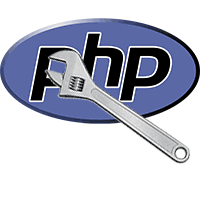 The two methods below allow you to override PHP settings within your application. However, the solution will not work in all Apache installations or other web servers such as IIS. A more portable, server-agnostic solution is PHP’s ini_set function. — it allows you to change a setting within your application at runtime. The function accepts two arguments: ini_set(flag-name, flag-value), e.g. Booleans, numbers and strings can be used interchangeably — PHP will attempt to cast the value to an appropriate type. Returns the configuration value. I’d recommend checking your configuration change and taking appropriate action. Don’t assume ini_get() will always work. Returns all configuration values as an associative array. The optional extension parameter returns options specific to that extension, e.g. ‘allow_url_fopen’. Returns the original configuration value from php.ini (not any overrides set in .htaccess or by ini_set). Returns a configuration option to its original value. Coming soon: How to Handle Unloaded PHP Extensions. Has PHP configuration ever caused you problems when porting an application to another server?